Over 700 happy families from diverse socio-economic and cultural background, all enjoying the comforts and pleasures of living in environment-friendly, well-designed, fully-equipped residential complexes, or working out of swanky commercial premises. That is the earth Infra’ record of achievement in core service offerings. A record of not mere construction, but creation of complete living, working and business spaces, with the latest amenities and facilities integrated in a holistic manner and backed by lifelong maintenance. One of the largest players in Nagpur’s real estate market with annual sales of more than 500000 sq.ft., it is a brand that commands a premium over other real estate developers. Providing complete solutions to clients, the Group is a symbol of trust and integrity built through its superior quality work, timely project completion and personalized services. To set new standards of excellence in the service of providing top quality living, working and business spaces.To maintain leadership through innovation in the field of design, technology and quality. 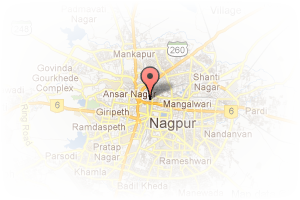 Address: Amar nagar nagpur, Manewada, Nagpur, Maharashtra, India. 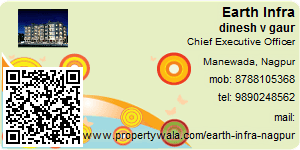 This Broker Profile page for "Earth Infra" has been created by PropertyWala.com. "Earth Infra" is not endorsed by or affiliated with PropertyWala.com. For questions regarding Broker Profiles on PropertyWala.com please contact us.